All club activities will continue as usual (see our Club Activities tab above) however we have a few activities open to all as part of Wollongong's Seniors' Week program. On Tuesday Carpet Bowls is available to those who would like to try this fun indoor game. Just come along any time after 8am to arrange a game or find out about the group. Go straight into Heininger Hall and talk to Brian who organises the group. Shhhh! don't tell anybody but the whisper is that a SBS film crew will be there to record proceedings but remember that is just between you and me. This is a very social group of card players. They meet every Wednesday in the Laurel Room, the usual game is whist but I suspect any game is welcome. The play starts at 9.30am and continues until 2.30pm. The players bring their own lunch to have together and tea/coffee is always available. 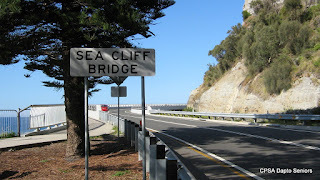 This group meets fortnightly and walks many and various routes (see previous blogs). 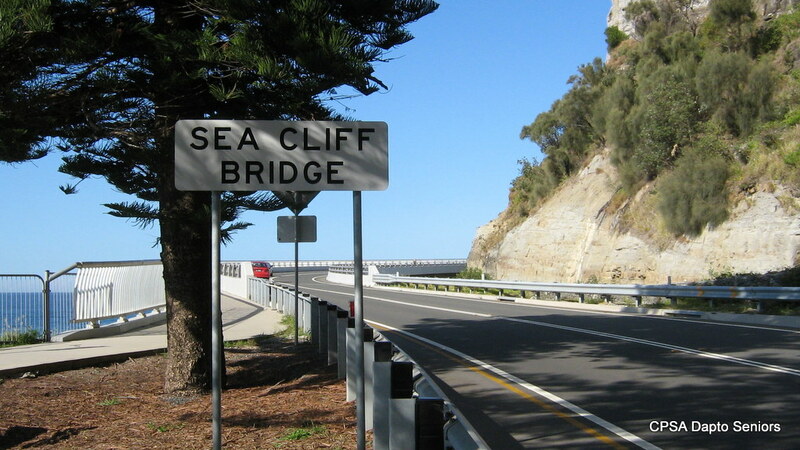 For Seniors' Week this year they are walking from Coalcliff Station to Scarborough over the fantastic Seacliff Bridge. 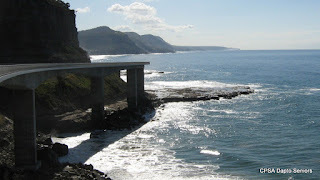 If you wish you can bring your own morning tea or can adjourn to the Scarborough Hotel at the conclusion of the walk. On previous occasions some group members have returned to Wollongong for shopping, because it is a local walk the rest of the day is yours. Good walking shoes, a hat and drink are advised. The walk is fairly flat but there are some stairs and modest hills on the way. The group will meet in the Dapto Railway Station waiting room at about 7.50.8am to catch the 8.15am train. If you are late we are usually in the second carriage but I am sure at Coalcliff Station it will be obvious who the group is. Everybody is invited to join all our activities and find out more about the biggest and best seniors' group in the Illawarra. If you need more details about any of these activities please phone 043 861 2015 or email daptoseniors@gmail.com.